From Jerry Bruckheimer, producer of Pirates of the Caribbean, and Jon Turteltaub, director of Phenomenon, comes National Treasure, the thrilling, edge-of-your-seat adventure starring Academy Award(R) winner Nicolas Cage (1995, Best Actor, Leaving Las Vegas). Ever since he was a boy, Benjamin Franklin Gates (Cage) has been obsessed with finding a treasure few dare to believe exists - the legendary Knights Templar Treasure. As Gates tries to find and decipher ancient riddles that will lead him to the greatest treasure known to man, he's dogged by a ruthless enemy who wants it for himself. Now in a race against time, Gates must steal one of America's most sacred and guarded documents — the Declaration of Independence — or let it, and a key clue to the mystery, fall into dangerous hands. Heart-pounding chases, close calls, and the FBI turn Gates' quest into a high-stakes crime caper and the most exciting treasure hunt you've ever experienced. $35.142 million on 3017 screens. 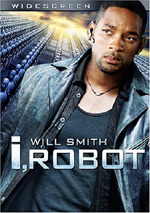 Any movie with a $100 million budget can’t be called a “sleeper”, but the success of 2004’s National Treasure nonetheless snuck up on a lot of people. The flick opened in the crowded holiday season and went on to take in a pretty solid $171 million. That didn’t make it one of the year’s true smashes, but it meant that Treasure was a genuine success. Treasure opens with a prologue set in Washington DC circa 1974. Young Benjamin Franklin Gates (Hunter Gomez) finds out about the Knights Templar Treasure from his grandfather John Adams Gates (Christopher Plummer). This ancient wealth ended up under the protectorate of the Freemasons, a group that came to include many founding fathers. John tells Ben about clues that will reveal the location of the fortune. John’s grandfather’s grandfather learned part of the secret, and ever since, generations of Gates men have chased after it. Until Ben’s father Patrick (Jon Voight), as he believes it’s a fool’s errand that’s harmed the family. Young Ben clearly takes the legend to heart, however, and when we encounter him 30 years later as an adult (Nicolas Cage), he furthers the cause. This leads him to the Arctic Circle where he finds a ship called Charlotte, apparently a key to the location of the treasure. Ben does so with the funding of Ian Howe (Sean Bean) and the partnership of a few others. A disappointed Ian thinks they’ll find the wealth in the ship, but that’s not the case. Instead they find a clue: there’s a map to the treasure on the back of the Declaration of Independence. When Ian states that he can steal it, Ben draws a line in the sand and refuses to go along with the theft. This creates a rift between the pair, and along with his accomplice Riley Poole (Justin Bartha), Ben tries to stop Ian from stealing the document. Ben and Riley visit many governmental authorities, all of whom laugh them out of their offices. Because of that, Ben decides he’ll steal the Declaration before Ian gets there so he can protect it. Riley tries to talk him out of this seemingly impossible task, but Ben assures him that he knows what to do, and they set about their attempt at the robbery. Inevitably, this leads to many complications. Some of these occur when Ian and his men end up at the Archives at the same time as Ben and Riley, while others are caused by Ben’s semi-involvement with Archives expert Dr. Abigail Chase (Diane Kruger). She’s one of the folks to whom Ben pitched his plot, and she catches on to things after a gala at the Archives. Eventually Ian’s gang pursues the pair, which means they have to stay one step ahead of the baddies. The rest of the movie follows their attempts to find the treasure, the pursuit conducted by Ian and his guys, and the involvement of law enforcement authorities. Sometimes I think that if you’ve seen one Jerry Bruckheimer-produced action flick, you’ve seen them all. That’s not true, as Bruckheimer projects cover too many different subjects to be truly generic, but you usually know what you’ll get with him on the crew. That holds true for Treasure, a perfectly mediocre action movie. This comes with positives and negatives. On one hand, you know the film will look great and it’ll boast excellent production values. Bruckheimer doesn’t do his flicks on the cheap, and it shows. He invests in top talent both in front of and behind the camera, and that means his movies are invariably professional. On the other hand, this leads to a definite sense of sameness. Bruckheimer movies usually look the same, sound the same, and feel the same. You get the same kind of overly dramatic score along with broad performances and lowest-common-denominator humor and action. Bruckheimer clearly aims for the widest possible audience, and that lack of specialization means that there’s a common feel to most of his flicks. Bruckheimer movies don’t worry a whole lot about plot consistency, and Treasure comes with more holes than usual. It also seems abnormally unsubtle, even for Bruckheimer. Early on the flick sets up the notion that the good guys - Ben, et al. - will use their brains to solve their problems, while the baddies - Ian and company - start with brawn first, second and third. Really, Ian comes across like little more than a simple-minded brute; he occasionally displays a glimmer of intelligence, but mostly he acts in “Hulk smash” mode. That makes little sense that someone would go as far as this multi-millionaire based solely on crude tactics. Inevitably, Treasure simplifies things, and it makes an apparently impossible task look awfully easy. Both Ben and Ian are able to break into the National Archives without a whole lot of difficulty. 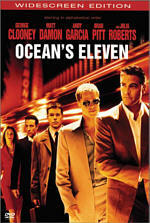 The movie sets up the complexity of the theft but doesn’t convey that terribly well. Really, the two competing parties act as the main challenge; the authorities who guard the Declaration don’t present a substantial obstacle, and that comes as a let-down after all the build-up brought to the concept. The biggest problem with Treasure is that it never becomes anything more than a collection of the old tried and true elements. Granted, all of the ideas connected to the historical facets and the Declaration are pretty cool, and they give the movie a slightly distinctive flair at times, largely via the various settings. Unfortunately, those pieces can’t overcome the movie’s overall generic feel. Does the Abigail character exist for any reason other than to create a love interest for Ben? Nope, and those aspects of the movie come across as rather bland. Cage and Kruger exhibit exceedingly little chemistry, so we don’t really buy their immediate connection. At more than 130 minutes, Treasure also moves way too slowly. Better-developed action flicks can withstand such long running times, but with a plot as flimsy as Treasure’s, the length becomes a substantial problem. I suppose I could excuse the duration if the movie required it for exposition, but since the story gets out the requisite story elements early, that’s not the case. It simply plods along from one bland action set piece to another without much creativity or flair. All of this adds up to a bland flick. National Treasure boasts an intriguing story and good production values, but it comes across as a cookie-cutter movie. It does exceedingly little to stand out from the crowd. 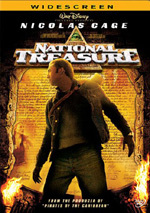 National Treasure appears in an aspect ratio of approximately 2.35:1 on this single-sided, double-layered DVD; the image has been enhanced for 16X9 televisions. Though without extreme flaws, Treasure presented a disappointingly average picture. Sharpness was one of the main problems. The movie often lacked great detail, especially in wider shots. While the film never became terribly ill-defined, it wasn’t as crisp and concise as I’d expect. Still, most shots - particularly close-ups - looked acceptable. No issues with jagged edges or shimmering occurred, but I noticed mild edge enhancement. No source flaws marred the presentation. Treasure goes against modern action flick conventions in its firmly natural palette. The colors looked perfectly adequate but not much better. The tones presented decent clarity and accuracy, but I never thought they appeared vivid or distinctive. Blacks were reasonably deep and firm, and most low-light shots seemed acceptably defined, though a few - like those inside the Charlotte - tended to be dense. Ultimately, there weren’t enough problems to knock my grade below a “B-“, but it was still somewhat lackluster. While the Dolby Digital 5.1 soundtrack of National Treasure outdid the visuals, it wasn’t quite as thrilling as one might expect from an action movie. Largely that’s because Treasure didn’t include as many slam-bang set pieces as the usual flick, though it brought out some good sequences. When the track needed to expand during car chases, gun battles and the like, it used the full spectrum well. Elements were properly placed and moved about the setting in a convincing way. For the most part, though, matters stayed moderately anchored in the front. Music depicted good good stereo imaging and the entire presentation offered a good feeling of environment. Audio quality usually fared well. A slight amount of edginess occasionally interfered with speech, but otherwise the lines were accurate and distinctive. Music sounded full-blooded and rich, as the score was rendered nicely. Effects showed good range and definition. They demonstrated solid low-end and were impressive across the board. Ultimately, this was a positive track. Despite the movie’s success, National Treasure comes with a fairly short roster of extras. To my surprise, no audio commentary appears here. We begin with an 11-minute and 19-second featurette entitled National Treasure On Location. It offers the usual mix of movie clips, shots from the set, and interviews. We get notes from director John Turteltaub, producer Jerry Bruckheimer, second unit director George Marshall Ruge, production designer Norris Spencer, visual effects producer Kathy Chasen-Hay, visual effects compositors Phil Brennan and Claas Henke, senior visual effects supervisor Nathan McGuinness, director of photography Caleb Deschanel, and actors Justin Bartha, Nicolas Cage, Jon Voight, Harvey Keitel, Sean Bean, and Diane Kruger. 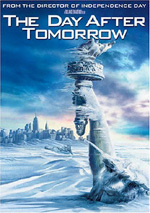 They talk about the project’s path to the screen, realism and locations, the actors and characters, Turteltaub’s approach to directing, stunts, sets, and visual effects. ”Location” is better than the average promotional featurette but not by a tremendous amount. To its credit, it doesn’t just feel like an extended trailer, and it goes over a lot of decent subjects. However, it rushes through them so quickly that we don’t learn much. The visual effects get the most attention, though even that area remains only briefly discussed. It’s a passable featurette. Two Deleted Scenes appear next. These start with a 47-second introduction from Turteltaub in which he discusses the editing process. Then we get the clips themselves: “Thomas and the President” (1:47) and “Extended Shaft Sequence” (6:04). The former shows Ben’s ancestor as he briefly meets with President Jackson, while the latter’s focus is self-explanatory. Neither is terribly interesting, though the “President” scene is the more intriguing. We can watch these bits with or without commentary from Turteltaub. He offers some production notes about the scenes and the reasons they cut the pieces. He provides a perfunctory discussion of the issues. Next comes an Opening Scene Animatic. This two-minute and 49-second segment starts with a short intro from Turteltaub as he tells us what an animatic is, and then we see the animatic. It shows a longer computer-created take on the movie’s opening, and it’s pretty fun to see. It includes optional commentary from Turteltaub who discusses the animatic’s purpose and comparisons with the final product. After this we find an Alternate Ending. In this one-minute and 49-second segment, we get another Turteltaub introduction to tell us about problems with the scene. We then see this final shot at the National Archives. I understand why it got the boot, but it’s a fun segment. More Turteltaub commentary lets us know more about the clip’s problems, though he repeats some of what he says in the intro. For the first bonus feature, we get a featurette called Treasure Hunters Revealed. In this eight-minute and 35-second piece, we hear from Turteltaub, Mel Fisher Enterprises president/CEO Kim Fisher, author/treasure hunter WC Jameson, Mel Fisher Center president Taffi Fisher-Abt, Mel Fisher Enterprises co-founder Deo Fisher, Mel Fisher Enterprises executive vice-president Pat Clyne, Atocha Recovery Project operations manager Gary Randolph, Atocha Recovery Project captain Andy Matroci, West Coast Treasure Hunters president Betty Broughton, treasure hunter Bruce Gentner, and Atocha Recovery Project engineer Jeff Dickinson. We learn about real-life treasure hunters. They talk about their motivations and methods and we see hunts on land and on sea. We also get tips for aspiring treasure hunters. Despite a fairly glossy tone, “Revealed” offers a nice little look at the real-life exploits of these folks. In Riley Poole’s Decode This!, we start with a three-minute and 19-second introduction that provides some history of various forms of written communication. Then we play a game that first requires us match letters to learn hieroglyphics, and then it tests our knowledge. Finish the quiz and we’ll see a 99-second piece about cryptography. Another quiz that uses “grills” follows. Lastly, we view a clip about secret messages that runs 125 seconds. A final challenge ensues in which you use colored glasses to find a message. This gives you a code at the end. Enter this elsewhere in the bonus menu and you’ll unlock a potentially valuable extra: a trivia track. As usual, this runs text at the bottom of the screen as the movie plays. The track mostly covers historical information connected to the film and other related facts. We learn a little about the cast and crew as well as sets, locations and general production notes. The material pops up with acceptable frequency, though not as often as one might prefer. It remains a bit dry but it adds some decent insight into the subject matter. A featurette called The Templar Knights runs for five minutes. It looks at the history of Masons and the Templar Knights. We mostly hear narration, but we also get comments from Knights Templar of California Grand Commander Dan McDaniel. Despite its brevity, it offers an interesting little overview with good insights like the reason why Friday the 13th is viewed as unlucky. The Verizon Bonus area includes minor components. There’s a wacky “Verizon Trailer” that incorporates clips from the film, and we also learn about “National Treasure Mobile Phone Games”. Finally, this domain presents cheats for one of those games. The DVD opens with some ads. We find previews for Herbie Fully Loaded, The Hitchhiker’s Guide to the Galaxy, Tarzan II, and The Pacifier. These also appear in the Sneak Peeks domain along with clips to promote Scrubs, America’s Heart and Soul, Sacred Planet and Alias. Jerry Bruckheimer may make fairly brainless action flicks, but they usually deliver what they promise and offer quality light entertainment. Despite the usual strong production values and a particularly distinctive plot, National Treasure presents an extremely ordinary movie. It’s one of those films that does little more than divert our attention mildly but it never threatens to truly engage us. The DVD presents decent but unexceptional picture and extras, but the soundtrack does pretty well. This is a generally average DVD for a mediocre flick.